A wonderful guest post by Man Mohan Munshi Ji.I had been looking for a Khos for a long time now. 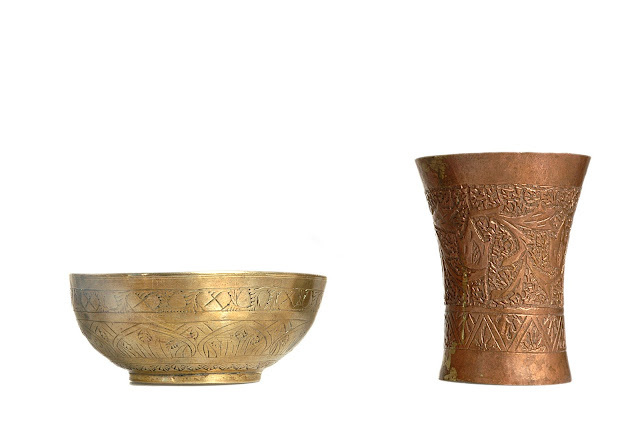 Since Kashmniri Pandits in good old days did not use crockery for tea but metallic cups mostly of bronze [ an alloy of copper and tin] but a very few affluent families also used German silver cups [ an alloy of copper,zinc and nickel]. 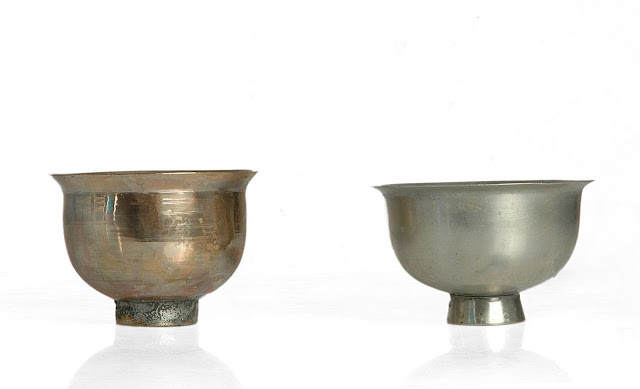 German Silver cups were certainly imported but it is not know that the said cups resembled the bronze by coincidence or were specially ordered. (right). An engraved copper tumbler kept for some religious rituals.